Mountain hotel centered around outdoor activities and experiences. The Boulder Adventure Lodge is the next evolution of the Boulder Mountain Lodge, a long-time Boulder staple that is now under new ownership with a focus on outdoor activities and adventures. 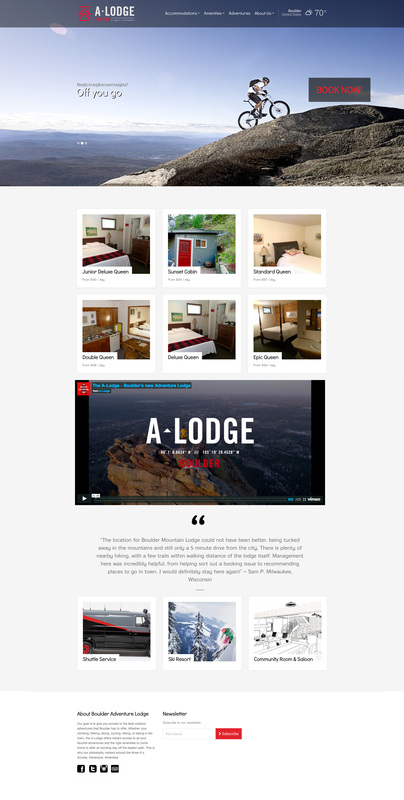 We were approached to build them a web presence that fit their branding, allowed customers to book rooms over the internet, and showcase third-party outdoor activities within Colorado's front range.